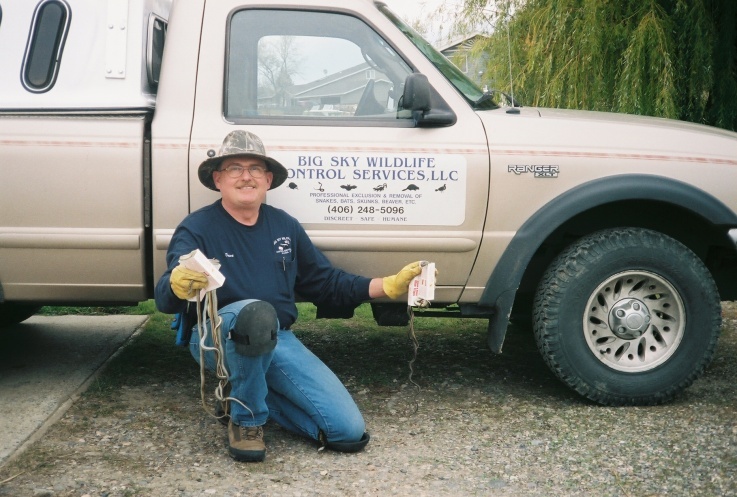 We are Billings Montana’s oldest privately owned wildlife control company. We solve problems for our customer who have conflicts with wild animals, bats, birds, nuisance wildlife, ground squirrels, raccoons, skunks, prairie dogs, pigeons , snakes near Billings and most of Eastern Mt. Nationally recognized as a Certified Wildlife Control Professional through successfully completing the requirements of the National Wildlife Control Operators Association and proven to the Certification Review Board, one hundred (100) hours of developmental education, over thirty-six (36) months experience and agree to follow a strict Code of Ethics. We are called Big Sky Wildlife Control LLC for all the right reasons we enjoy solving Billings & Eastern Montana‘s animal control , wild animal removal and wildlife control problems all under this great big sky we all call home here – Montana. We provide Bird Control, Beaver Control, Raccoon Control, Snake Control, Skunk Control, Squirrel Control, we remove rockchucks and yellow bellied marmots, trap, manage and remove predators such as coyote, fox, raccoon and other predators. We are a professional animal control company and not your local county animal control who may provide some free services if any. We have a very effective and lethal rodent removal program and trap, and prevent future rat and mouse problems and also have offered dead animal carcass removal services for several years in the area. We service Billings Montana, Yellowstone County Mt, Carbon County Mt, Stillwater County Mt, Sweet Grass County Mt, Musselshell County Mt, Mt Treasure County Mt, Big Horn County Mt, and most of Eastern Montana. Yes We get rid of Nuisance Prairie Dogs !! We do a lot of of prairie dog control work and most of our referrals come from both near and far. Many call and tell us they have heard about our success with prairie dog fumigation. We specialize in prairie dog town under 5 acres. Call us for prairie dog control and prairie dog elimination near and around Billings, Mt for prairie dog exterminators. A wide variety of home alternative prairie dog removal methods have been tried in desperate attempts to permanently remove and control prairie dogs. Engine exhaust, dry ice, butane, propane, gasoline, anhydrous ammonia, insecticides, nonregistered rodenticides, water, and dilute cement are all unregistered for prairie dog control. None of these have proven proven to be as cost effective or even successful as registered rodenticides, and most are hazardous to applicators and/or non-target species. In addition, those methods that have been observed by prairie dog control specialists (exhaust, propane, ammonia, non-registered rodenticides, and water) were substantially more expensive than registered and recommended methods. Hear in Eastern Montana we have several small burrowing critters in the rodent family that could be causing damage and not just the prairie dog but also ground squirrels and gophers. We remove them all call us!! We do a lot of bird work and come in handy when shooting birds is not the best or safest means of removing them. 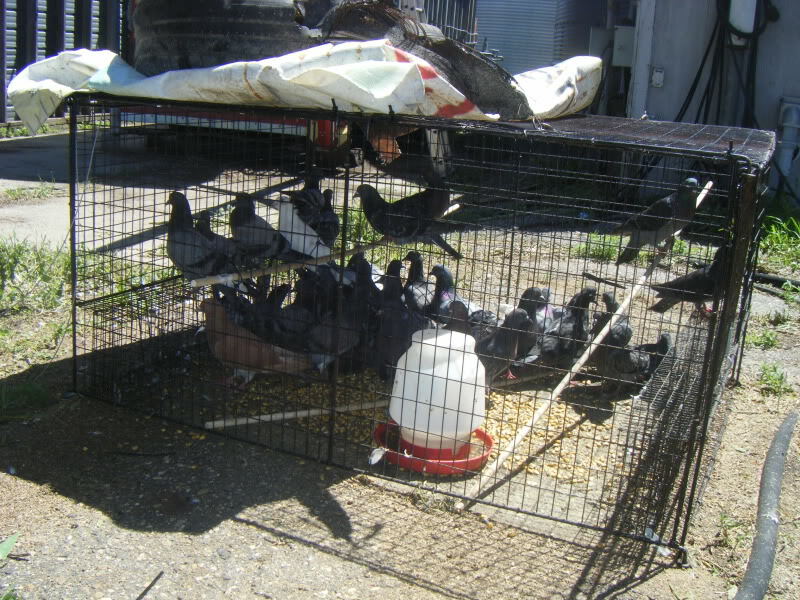 Most of our bird control work involves pigeon control and pigeon extermination . We also can help with blackbirds, crows, grackles, pigeons, sparrows, swallows, starlings, woodpeckers and other nuisance bird species IAW local, state and federal law. Put your fear of snakes to rest. We solve all snake problems and bring you the satisfaction and trap and remove snakes and give you peace of mind. We also offer year round snake trapping to keep other snakes from migrating in on your property in the future. We get raccoons out of attics, from under porches and from hissing inside the soffit ,fascia or eves or your home. Got raccoons in your chimney or waving their hands at you from the fireplace we help too! We do raccoon removal and raccoon control in, near and around Billings Mt. Is your ranch flooding because of a problem beaver population we can help We love to trap, control and remove nuisance beaver in , near and around Billings Mt and all over eastern Montana. Odorless skunk removal most of the time. We trap skunks, control skunks and can even help with a stinking skunk spray problem. We do the removal of all wild animals both native and nonnative to these parts of Billings and Eastern Montana. We know the laws of the land for most any nuisance wildlfie species you may encounter. Got a bat in your homes living space? The health experts recommend never letting anyone sleep in a room that may have a bat in the home. You call and say you have a bat in the home and we will come 24/7 .